A private riding, training, and stabling facility, designed with the well-being of the horse in mind. Glenshee is a horse farm nestled in the Hudson Valley, NY on 40 acres of mixed meadow and woodlands. With rolling hills, trails, a pond and stream, a six-stall barn with auto-waterers and ceiling fans, heated wash stall, grooming stall with fan, two heated tack rooms, run-in sheds with fans, a 20 acre pasture, and extensive riding facilities, Glenshee is a haven for horse and rider alike. At Glenshee, all of our horses go out together in a single herd in a beautiful 20 acre pasture with lush grass, several run-in sheds with ceiling fans, wooded areas, and automatic heated waterers. When the weather is suitable, they even have the option of staying out 24/7. We believe horses need to live as closely as possible to their nature in order to remain healthy, physically and mentally. With a bright and airy indoor arena, two outdoor arenas (one with rubber footing), a standard dressage arena, a hunt field with cross country jumps, and trails both on and off the property, our extensive riding and training facilities provide a variety of options for the development, exercise, and enjoyment of horse and rider. We believe horses are happiest when they enjoy their work, and a well-rounded horse is rarely bored or ring sour. 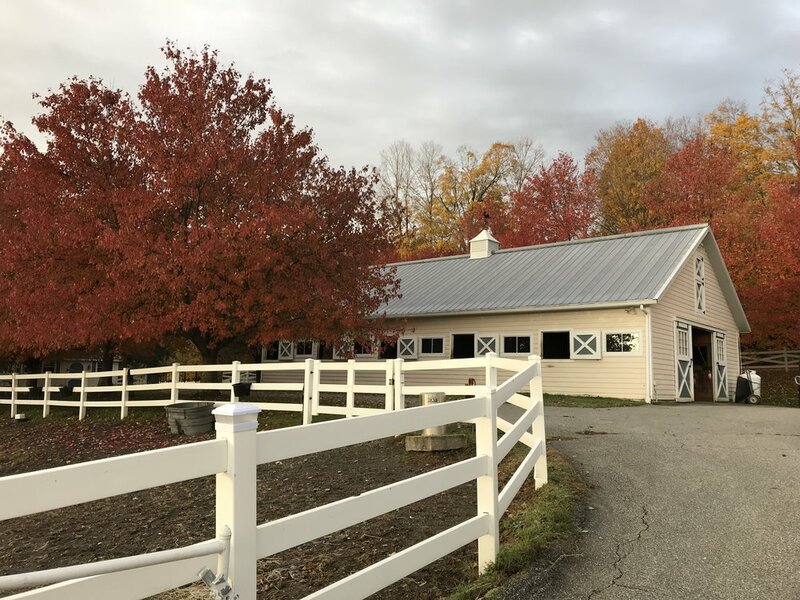 Glenshee Equestrian Centre was established in 2002 as a riding, training, boarding, and rehab facility in Orange County, NY. We moved to our new home in Dutchess County in the winter of 2007. Our goal was to create a forever home for our horses where they could live as closely to nature as possible. We added the indoor arena and the original circa 1750 farmhouse on the corner a few years later. Now our farm is finally complete!